It’s hard to write this post today. Tuesday was a very hard day for the people within my circle. After many months of serious illness my best friend Gail’s Mom passed away yesterday. I’ve searched for a photo I could use to show you all what a beautiful lady she was. I found this one from Christmas Eve, I think 2008. 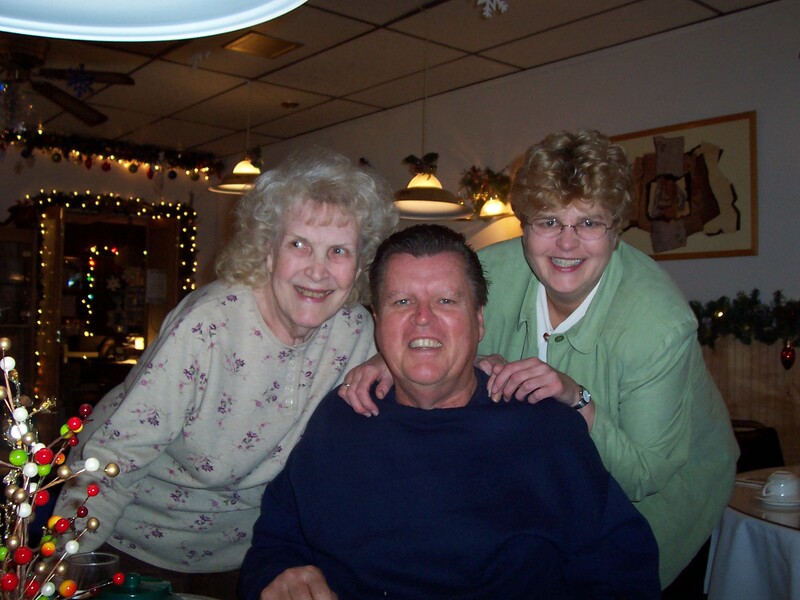 We had gone out to breakfast with Gail and Alice as we always do on Christmas Eve and Gail’s Mom and her brother Ray showed up at Helen’s which was our favorite breakfast spot, until it closed. I like this photo because it shows her beautiful smile. She was always the life of the party and she was always in charge. Not sure what we’ll do without her. Rest In Peace, Mrs. T.
A very sad day for all of us. I envision her in heaven with her husband and my mom and dad all dancing. One of the things I remember about the four of them from childhood was how beautiful they all looked when they dressed up. As my cousins LuAnn and Patti said, they looked like movie stars. Well, now they are all stars in the heavenly sky watching down on us and we’d all better behave or we are in trouble! Thanks so much, Meg. You’re so sweet.